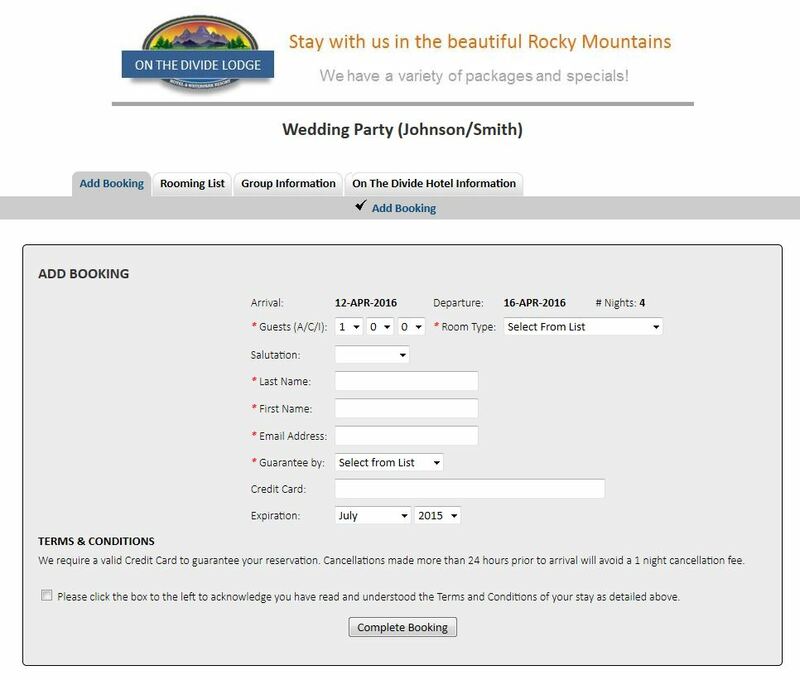 An online booking engine, that offers a central location for individuals to book a room as part of a Group Reservation. 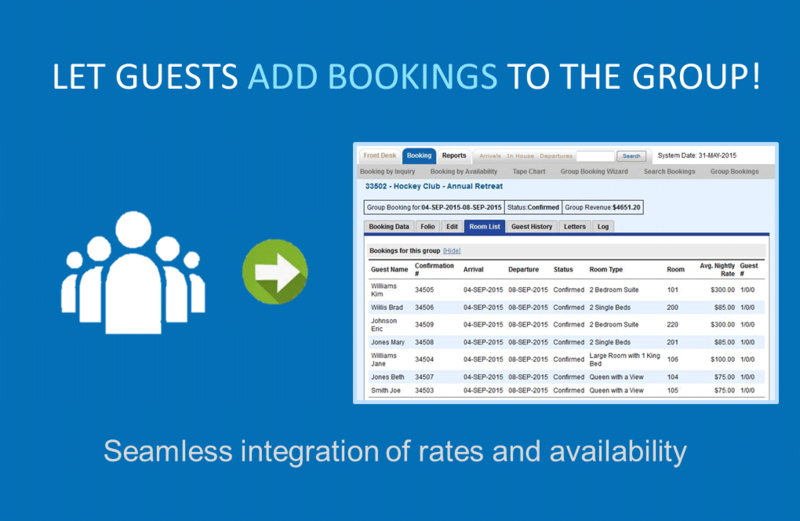 Let guests choose their own room types and enter payment information from from the ‘real-time’ rates and availability. 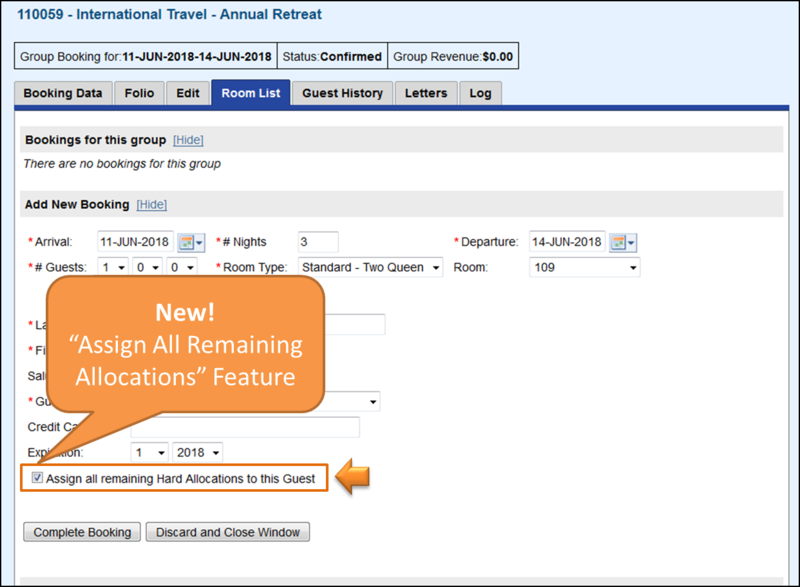 All bookings made on the group booking engine are automatically updated and managed in MyPMS giving the Group Booking Manager complete control without the time commitment of taking individual bookings. 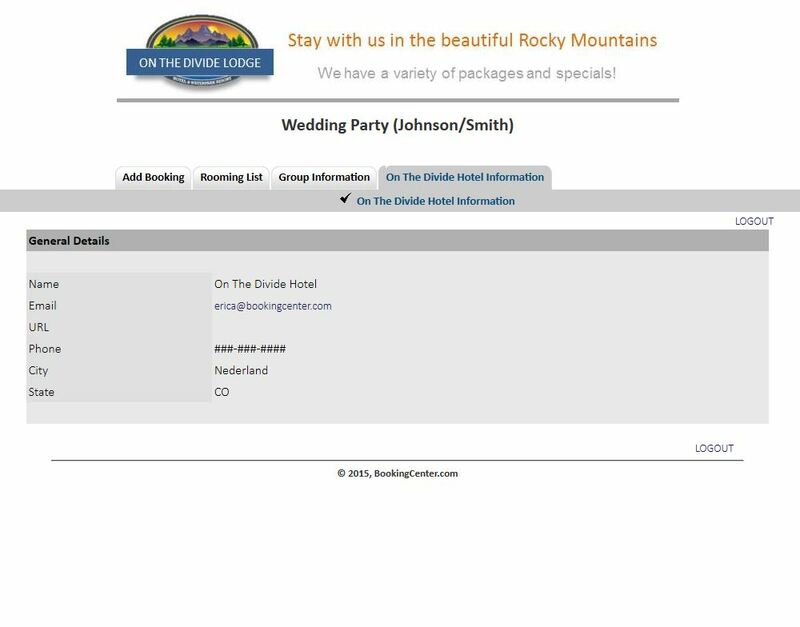 How does the Group Booking Engine work? Create a Group Booking, give the group contact the customized link, user id and password. 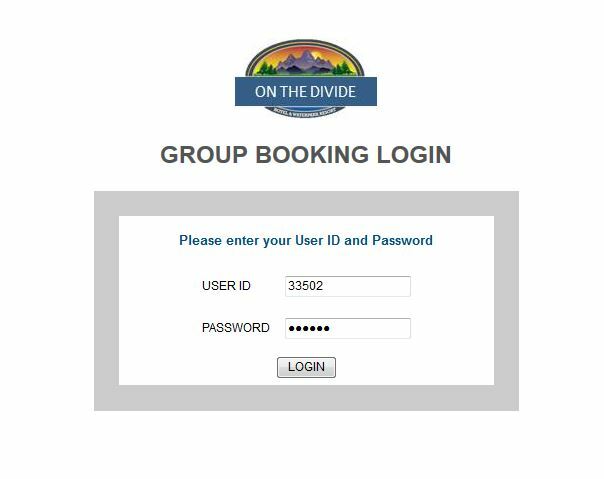 Guests then log in and book their rooms in the Group. By logging in to a secured area, bookings can be viewed and added to a group without having to contact the property directly. 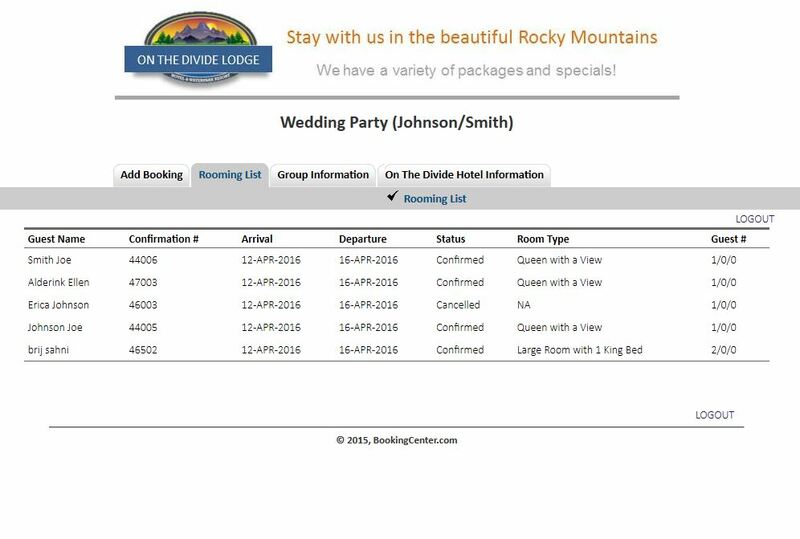 The Group Booking Engine provides rooming lists, individual payment options and group booking details to give guests the information they need to choose a room and complete payment. 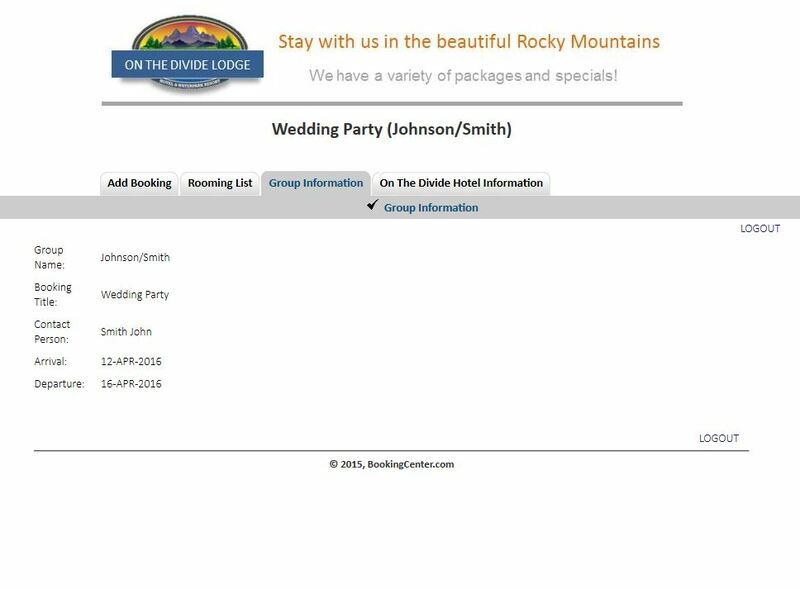 The group booking engine can also be customized to your property by adding a logo, banner and displaying your marketing policies.